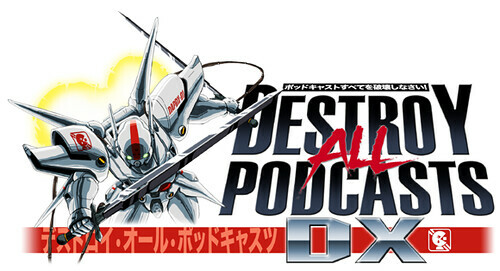 There are a bunch of episodes of Destroy All Podcasts up that I never blogged about! Most specifically, we did a whole month about animation that aired on MTV! Jeremy and I discuss the finer points of stop motion and antiquity in this podcast about the work of the Brothers Quay. Watch as we talk ad nauseum about why Liquid Television was far superior. We all declare our love for our favorite homeless dude in purple spandex. This is about people with body types that resemble beef jerky. Yes, body types that resemble beef jerky and hip to waist proportions not even attempted by Barbie or Betty Boop. Meanwhile… “The Maxx lived in a box.” And I’ve always admired Julie Winter’s fashion forward integrity and courage. Social workers who dress like curb-candy are where it’s at.